Small firms aren’t just the engine of the economy; they are the engines of most economies. In the U.S., small firms make up more than 99.7 percent of all employers and employ about 50 percent of all private sector workers. Yet, many small firms are too small or under-resourced to justify an HR person and will be doing DIY talent management, which is why we like to focus many of our guidance articles on helping small business leaders to develop their talent management practices. Most small firms do not have the financial resources to invest in structured formal training in the same way as bigger business, but employees still need to learn. There are people out there who are not only great at what they do, but who may be more vocal and may love sharing their knowledge through coaching and mentoring others. These ‘roaming coaches’ can be a godsend to small businesses that lacking training resources, serving as a “buddy” and culture/process coach for new joiners, helping them up to speed faster. And they can help more established employees to develop faster and make ever-increasing contributions to your business. We have borrowed this from Belbin’s team role, i.e. the plant. To break into and disrupt an established market, small businesses need to be creative, innovative and unorthodox to varying degrees. To steal from Belbin, plants are creative, unorthodox and generators of ideas. You’ll need to have enough creatives in your small business to ensure there is a steady stream of ideas that will create an inertia or momentum of innovation. Don’t overdo it though as it may become an idea-heavy and action-light environment. Heading up a small business requires the wearing of multiple hats and the same can be said of employees. There is no room for silo thinking or behavior in small business. 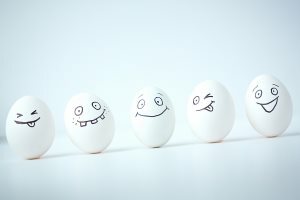 If you want an agile organization that can adapt and react to an unpredictable market or seize initiatives, you need plenty of employees who are happy to juggle multiple responsibilities; take on new roles/duties quickly and for unpredictable periods of time; and who can handle uncertainty. Build your team and make sure there are plenty of jugglers in your business. Small businesses can often lack formal decision support structures such as procedure manuals, previous case studies and a clear and present hierarchy of support. Small business employees will often find themselves having to make decisions in the absence of a manager or clear guidance, and they will need to be comfortable making good decisions using their own initiative and judgment or else face action paralysis. Make sure you have plenty of team members who are able to make difficult decisions in the absence of authority and certainty. This is similar to Belbin’s monitor/evaluator. Small business environments need to be disruptive and abundant with creativity and unorthodox ideas to ensure innovation. But, this creativity can get out of control leading to a somewhat wacky ineffectiveness. So, don’t let the lunatics run the asylum; make sure you have a balance of cautious, risk averse, square peg types who will speak up and counter balance the unbridled invention and creativity. We all know this personality. After the caution, the creative sparks, the coaching and the juggling, you need to have plenty of personalities who know when it’s time to take the brief, knuckle down and get the job done. The implementer. You’ll need a large, healthy dose of implementer personalities in your business if you are to hit your deadlines and get the products to market. Finally. The required balance of these personalities will vary according to each organization; it’s like a chemical reaction and you need to be constantly adjusting the balance so it is continually optimized to suit the dynamic and uncertain external business environment surrounding your business.